Kamokila Hawaiian Village is a 4 acre reconstructed ancient Hawaiian village along the banks of the Wailua River near Opaeka'a Falls on Kauai. The village consists of 14 thatched huts, a birthing house, a hula house, a canoe house, the chief's assembly house and a doctor's house. 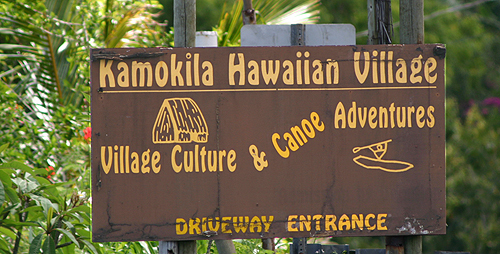 Story boards and artifacts located around the grounds help explain life in the village and how ancient Polynesians eked out their day-to-day existence. The last reigning King of Kauai, King Kaumuali'i was a one-time resident here and the location was said to be his favorite residence. 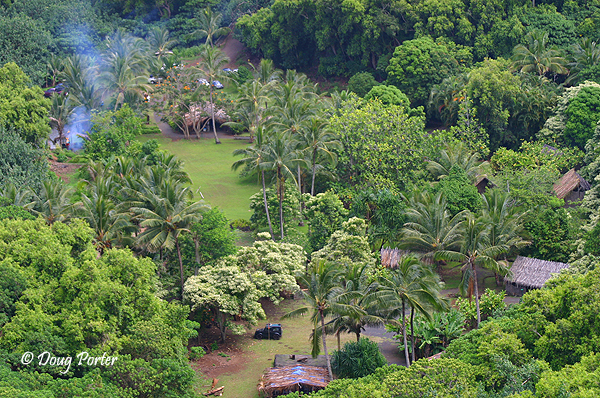 It is also where he assembled his war canoes to defend Kauai from neighboring islands. The village is family operated and tours are available. Admission is $5 for adults and $3 for children. Canoe tours are also available. Traditional games and demonstrations on spear throwing and Hawaiian bowling are featured in the courtyard. Scenes from the 1995 suspense movie Outbreak were filmed in the village and some of the set remains. The movie starred Dustin Hoffman, Rene Russo, Morgan Freeman, Kevin Spacey and others.